Giving Tuesday – Giving Back: Thank You! On this Giving Tuesday, we want to take a moment to thank all of those who give back through Voices From War year round, as well as those of you who are able to make a donation. We rely upon passion and dedication from volunteers, our supporters, our participants, and our leadership and instructors, all of us giving to Voices From War because we see the power of veteran stories and community. 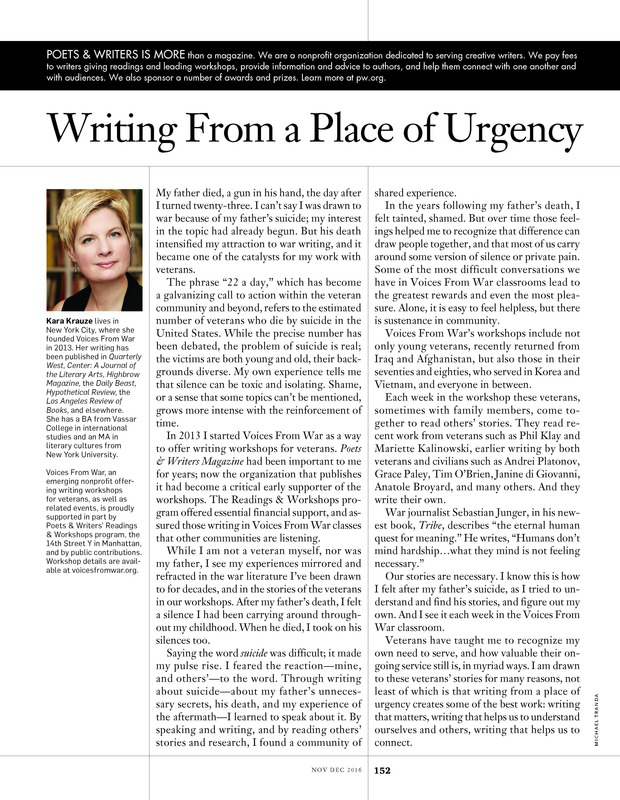 Writing helps us to better understand, grapple with, and accept our experiences – each of us, as individuals – and writing brings us together. Writing bonds veterans with each other, and brings together veterans and civilians through the power of shared experience, narrative, and the conversations writing and reading generate. We see this every week in the classroom, a dozen people around a table, and we see it in conversations online and offline. We see it in the interest of civilians in hearing from veterans; and we see the import of veteran stories shared, with not only those who already understand, but also those who might not yet. In the process, we find unexpected commonalities, alongside differences. Thank you to all of our supporters and volunteers. Thank you to our fantastic instructors, Nate Bethea, with whom I’ve had the pleasure and good fortune of teaching alongside these past two years at the 14th Street Y, and Jeremy Warneke, who has become a powerful force teaching our Bronx collaboration, The Craft of War Writing. We cannot do any of this without you – our participants and our supporters and our volunteers, our dedicated instructors, and our contributors. 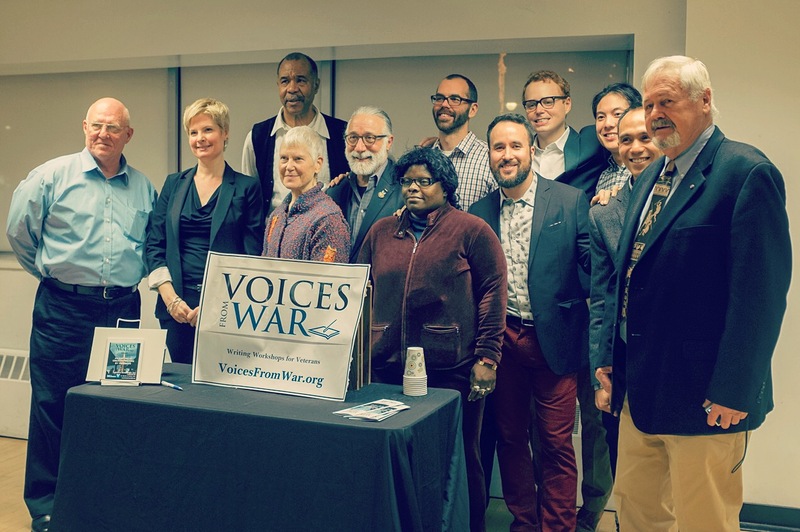 Thank you to our audience for giving your time and attention, and thank you for those who can make a donation to help support Voices From War’s ongoing programming! And we hope to see you at our WINTER READING on DECEMBER 10th! Details on the Event page. Thank you to Poets & Writers for helping to support our workshops, and for the chance to share part of my story and why I strive to give back through Voices From War.